Visited over 130 countries, has lived on, made connections and built businesses on 4 continents. Has the ability to breach ethnicity, religion, nationality, language & demographics in order to get a foot in the door and establish bonds. Utilizes and embraces social media as a marketing & engagement tool, but prefers one-on-one relationship building over campfires, ski-slopes, bike tracks, racetracks, dinners and coffee. Can carry an idea from concept to commercial success as long as it helps people, is profitable and interesting. 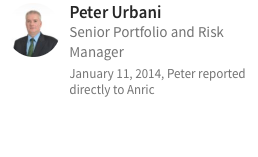 Anric is a dynamic leader who has a proven ability to make things happen. He has boundless energy and an impressive intellect that he brings to every situation. 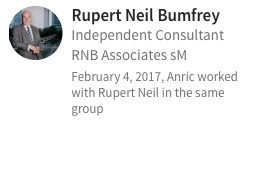 In 2004 I came to know Anric and the wonderful global team he has built at Infiniti Capital. I have been in contact with him since that time. Anric is an exemplary team builder and visionary, combined with good humor and an astute business sense. Anric was tasked with the unenviable role of establishing Forsyth’s presence in a very crowded marketplace, Hong Kong & the region, & testimony to his success is that Forsyth’s derived substantial new business from Asia. 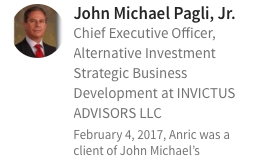 Anric was instrumental in guiding Forsyth’s to the Hedge Fund Arena, from where most of their AUM subsequently originated! Anric is an exceptionally driven personality, who can see the big picture, often before it materialises in front of others! 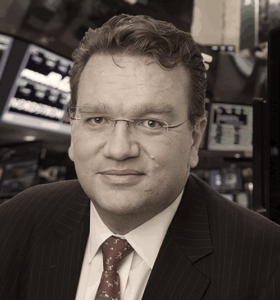 I have known Anric Blatt since the late 1990s as an astute investor, creative entrepreneur, thought leader, advisor and friend with unimpeachable integrity, credentials and accomplishments. I would eagerly back Anric in his endeavors. 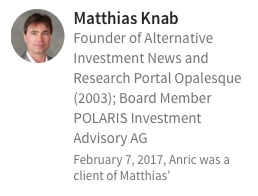 Anric Blatt has been an inspirational business leader and prime driver of the exponential growth of the Infiniti Fund of Funds Business. His low-key management style engenders an environment where people are empowered to step forward and be all they can be. He is also a visionary entrepreneur with a keen sense for new market trends.